Jack sits motionless in his room surrounded by bottles of floor polish and alcohol. Dougal reckons he is drunk and so does Ted. Visiting nun Sister Monica checks his pulse and pronounces him dead. She asks Dougal to perform the last rites but he is completely clueless. Instead of speaking in Latin, he recites the names of Italian footballers. 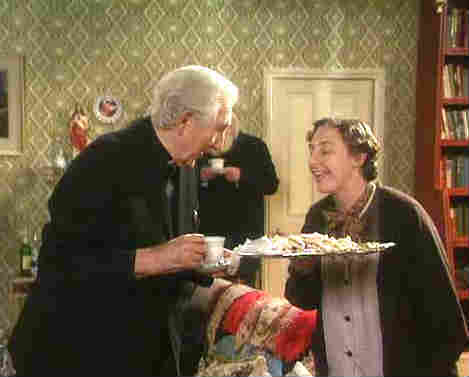 Later, Laura Sweeney, the executor of Father Jack's will, visits the parochial house and announces that both Ted and Dougal have inherited £500,000 between them on the stipulation that they spend a night with Jack's body. Jack, it seems, was terrified of being buried alive. Ted and Dougal stay with Jack's body and they play charades to pass the time away before thay get into their sleeping bags and have a religious discussion about the afterlife. As Dougal is sleeping, Ted looks outside to see it snowing. He quotes some words from The Dead. 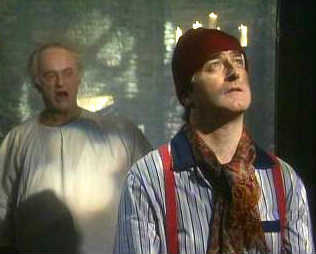 Father Jack wakes up to shout Shut the feck up!, prompting Ted and then Dougal to pass out from the shock. Back at the house Jack is back in his chair. Ted explains that the floor polish that Jack ingested brought about all the symptoms of death and then wore off. Ted and Dougal head off to the shops to buy some more floor polish. Jack tells the audience to Feck off! Father Jim Sutton: [sarcastically]Oh yeah, sure!! Father Dougal: A load of strangers telling you their sins. Sure who'd be bothered with that? First appearance of Father Fintan Fay, the "Monkey Priest". Mention of the holy stone of Clonrichert which is featured in The Tentacles of Doom. Dougal mentions that both his parents are dead. Jack likes violent films but Reservoir Dogs is a bit mild for him. Jack accrued a lot of money partially because he avoided giving money to charity. Jack was the first priest to denounce The Beatles, and Dougal adds that Jack Knew what they were up to!